Congratulations! You decided to take the first step towards straight teeth and a beautiful smile. Your Invisalign aligners are going to take you on the journey to your best smile but first, you need to learn to live with the process. The following guide will provide valuable information that will help make living with Invisalign clear aligners easier. As you go forward you will be happy to learn Invisalign aligners fit into your life, not the other way around. You won’t be held back from living your best life. 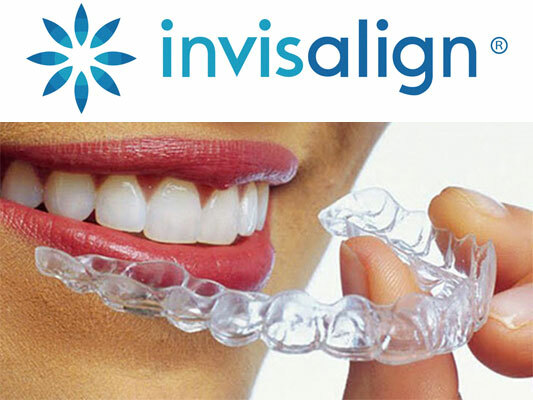 Invisalign aligners are clear and most people won’t even realize you are wearing it. You will continue to eat all your favorite foods, participate in sports and events you enjoy, brush and floss as usual and live life to the fullest. Your Invisalign aligners are custom made and easy to wear. If you want the best results from this convenient teeth straightening system you need to wear the aligners 20 to 22 hours a day. When you are ready to drink or eat, just remove the aligners, enjoy your meal, brush your teeth afterward and put them back in carefully. The aligners that are made for teens have a blue compliance indicator so parents can be assured their children are wearing them the recommended amount of time. 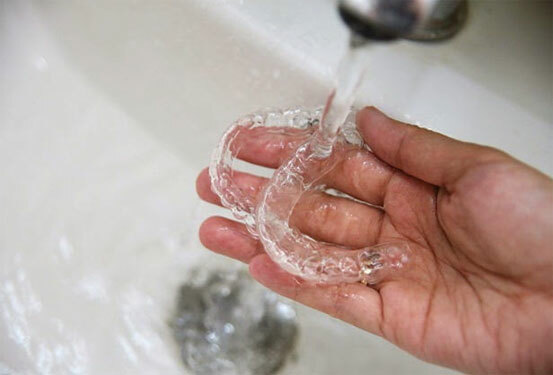 Keeping your aligners clean will help prevent bacteria from building up in the aligner trays. Cleaning is easy, by gently brushing them with a toothbrush and rinsing them with water every night. Invisalign has also created a cleaning system that provides step-by-step instructions to help you keep your aligners fresh and clean. Your dentist will provide you with the details and instructions. Your dentist will schedule check-ups about every six to eight weeks. Your progress will determine when you will need to pick up your next set of aligners. Generally, you will wear each set for up to two weeks or as recommended by your dentist. The aligners are gradually moving your teeth into place. You should expect to experience discomfort and pressure during the first few days of each new aligner set. The discomfort is usually minimal, if you experience severe pain you need to discuss it with your dentist to see if an adjustment to the aligner schedule is needed. 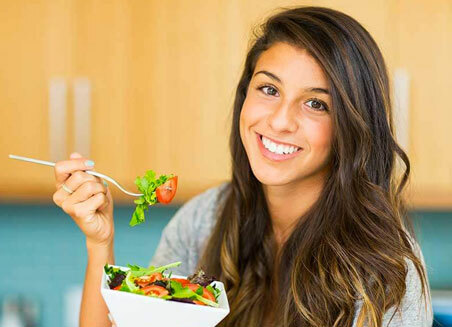 Standard braces require you to eliminate foods from your diet to assure bacteria and plaque don’t build up on the brackets. Invisalign allows you to remove the aligners and enjoy all your favorite foods and hot beverages. Avoid consuming hot coffee, tea and other beverages with the aligners in your mouth. The heat from the beverage can cause damage to the aligner and interfere with your progress. Invisalign clear aligners allow you to maintain a regular schedule, continue with your life as usual and create a healthy oral hygiene routine. If you are interested in Invisalign clear aligners contact the office today for an appointment to see if they are best suited for your situation. To schedule your no-obligation Invisalign consultation with Dr. Jacquie Smiles in NYC, please call 212-972-3522 or fill out the contact form to receive additional information. Her office is conveniently located near 30 East 40th St @ Park Avenue, New York, NY 10016.